Classic earrings in 14kt gold for every jewelry collection. 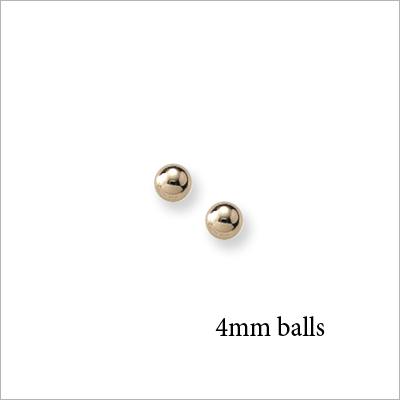 14kt yellow gold ball earrings with 4mm balls for babies, toddlers, and children. Our ball earrings have screw backs that protect children's ears and prevent loss. 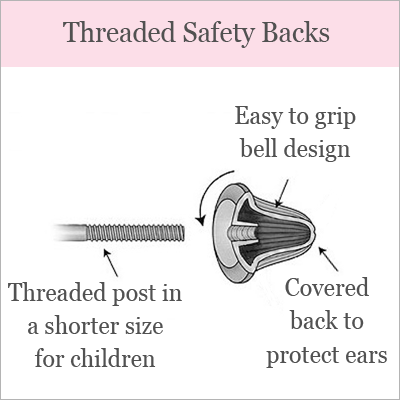 Shorter threaded posts for baby and child. 14kt gold balls and screw back earrings. 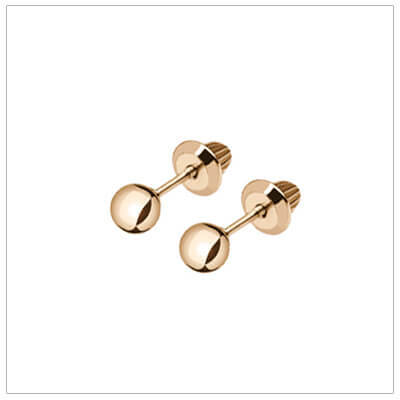 Gold ball earrings are 4mm. 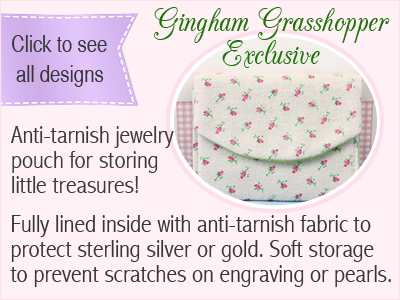 Fine quality baby and children's jewelry. The gold ball earrings on this page are screw back earrings.